An amazing wall design has the potential to completely transform the look and feel of the home without gobbling up precious floor space. Of course, most people know how useful the walls can be when building in extra storage, but what about the possibilities in terms of style? Well, a striking wall design will generally help give your interior a sense of scale. The eye will be drawn upwards and you will avoid having everything of interest on the lower half of the room. This is the most commonly seen difference between a room designed by a professional interior designer and any other. So let's check out some of the possibilities here today. 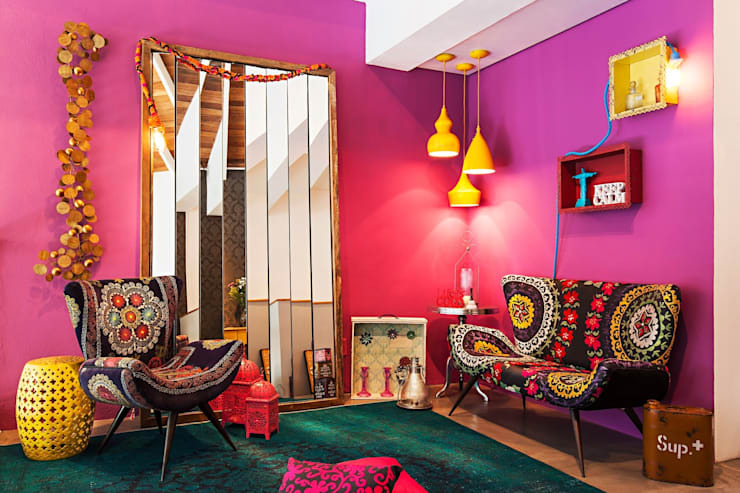 Many people are wary of indulging in a super saturated wall colour and for good reason! But the potential weight and drama can look simply spectacular when teamed with a big mirror. It lightens the aesthetic and gives it a glamorous feel. 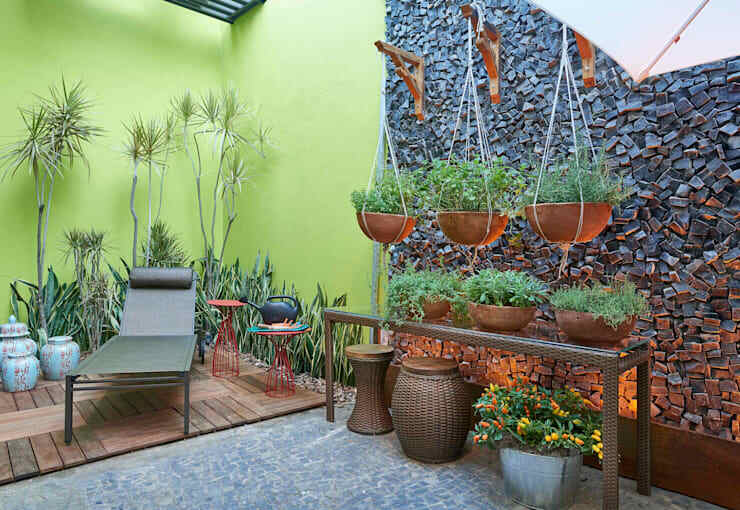 A small urban garden can very easily be greened up with a simple coat of green paint. To amplify the earthy effect you could easily add some stone tiles. Some fabrics are just so beautiful they deserve to be treated as items of art and hung on the wall. This solution is good for those who can't make permanent changes to the home. Wall mounted plant containers are available in a huge range of modern designs these days. 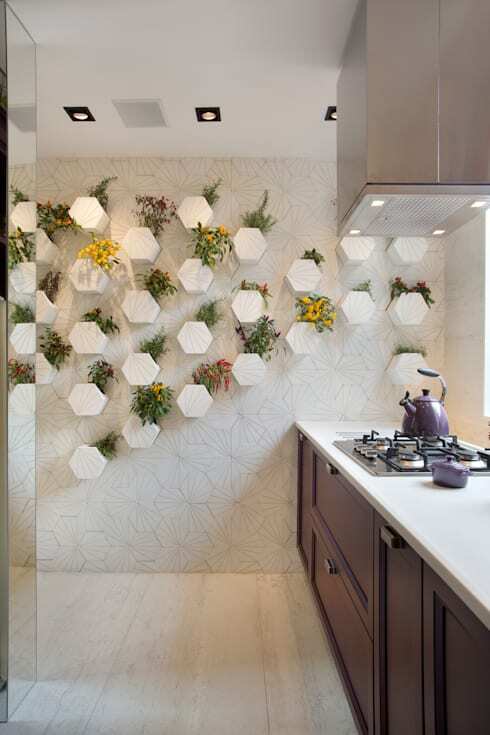 Gather a whole collection and mount them on the wall to create a modern geometric wall design. 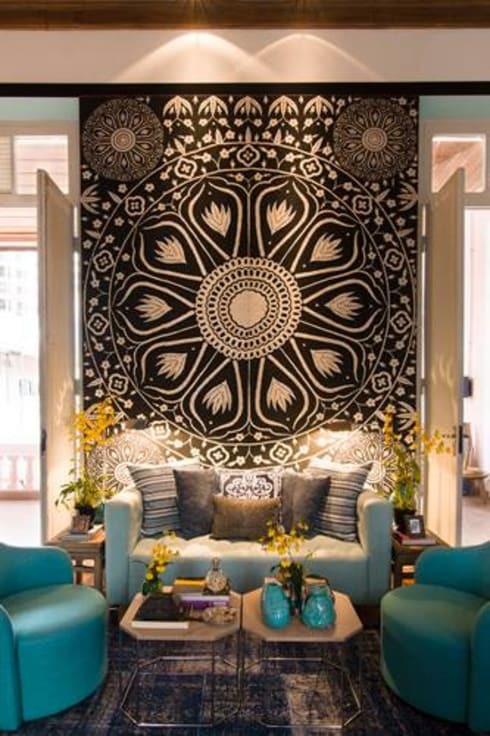 No matter how small your home, a mural could be the place to escape to another world. In a large home it's often quite possibly to explore a complex or highly striking design. But in a small home it's best to keep things quite abstract in order to avoid overwhelming the space. Striped wall paper or wall designs definitely add a lot of energy to a space. They emphasize the height in the room and will often work well with Nordic style interiors. Team them with plain furnishings though to avoid a busy look. This little bathroom has some of the best bold tiles we've seen. They give the bathroom a 60s vibe and the wall to wall mirror accentuates the slightly psychedelic effect. Concrete bricks are popular with those with an industrial style interior. The good thing about bricks like this is that they don't block the natural light. Big blackboards are quite popular at the moment. The dark green tones also give the home an earthy, friendly ambiance. This is perfect for those who have small children. 9. 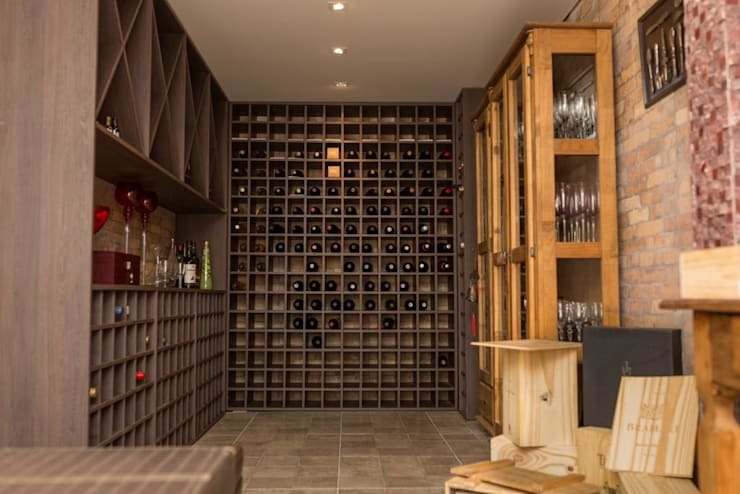 The best of all… a wine cellar! A wine collection certainly adds an element of sophistication to the home! This one is created with dark wood that adds a rustic, old-world feel to the home too. For more home decorating ideas, check out 10 sliding doors that make small places prettier. Which of these wall ideas has caught your eye?